PITTSBURGH & CHICAGO--(BUSINESS WIRE)--Every day, 160,000 students skip school due to fear of bullying and exclusion,1 with nearly one quarter of middle schoolers experiencing that bullying in the school cafeteria2. 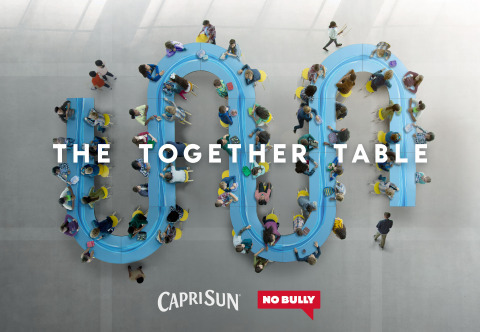 This National Bullying Prevention Month, Capri Sun partnered with anti-bullying experts at No Bully to create The Together Table where no kid sits alone in the lunchroom. This one long wave-shaped table, offers an alternative to kids sitting at separate tables, so no kid sits alone in the school cafeteria. As a brand that has always had a seat at the kids’ table, Capri Sun believes everyone deserves to be included during lunch. In a new video on YouTube.com/CapriSun, a group of kids looks to make a change and put the wave-shaped table to the test to show how it can make a difference at lunchtime. As a final measure of support, Capri Sun will donate $160,000 – $1 for every student who skips school due to fear of bullying and exclusion1 – to No Bully3 to support their mission of reducing bullying globally. 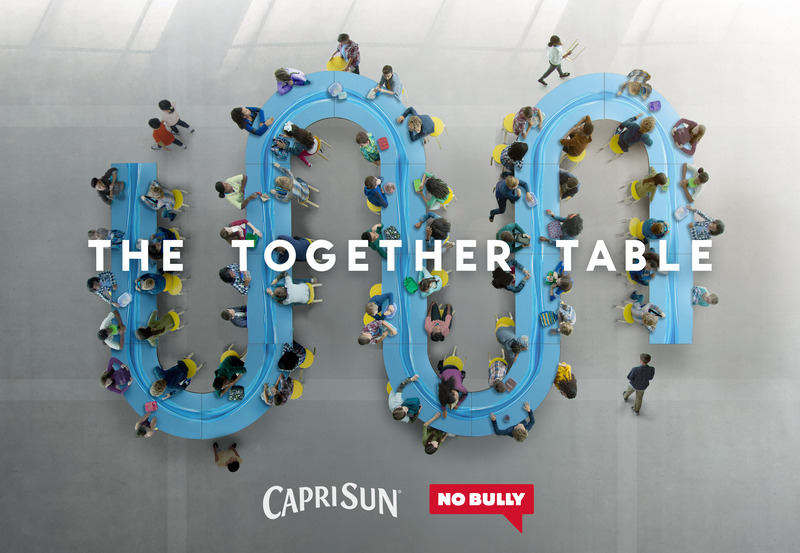 Join Capri Sun and No Bully to take a stand against bullying by using #SitTogether and sharing The Together Table film on Twitter @Capri_Sun and Facebook @CapriSun. 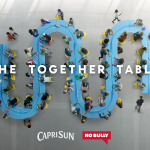 For tips on how to encourage an inclusive lunchroom, visit www.NoBully.org/CapriSun. For more information on Capri Sun and its products, visit www.CapriSun.com. The Kraft Heinz Company (NASDAQ: KHC) is the fifth-largest food and beverage company in the world. A globally trusted producer of delicious foods, The Kraft Heinz Company provides high quality, great taste and nutrition for all eating occasions, whether at home, in restaurants or on the go. The Company’s iconic brands include Kraft, Heinz, ABC, Capri Sun, Classico, Jell-O, Kool-Aid, Lunchables, Maxwell House, Ore-Ida, Oscar Mayer, Philadelphia, Planters, Plasmon, Quero, Smart Ones and Velveeta. The Kraft Heinz Company is dedicated to the sustainable health of our people, our planet and our Company. For more information, visit www.kraftheinzcompany.com.